Have you been looking for a Bluetooth keyboard or a game controller for your iPhone 5? Well, you just got lucky. iPhone5Mod has unveiled a new case for the iPhone 5, that comes with both gamepad and a keyboard. Known as the EX Hybrid Controller, the case attaches to the iPhone 5 and comes with two separate interchangeable parts. One’s a gamepad and other is a keyboard, which connect wirelessly to the iPhone via Bluetooth. You can easily detach the keyboard when you’re done typing and use the gamepad for playing games. Both the case and gamepad/keyboard are magnetic, which is why they’re so easy to interchange. iPhone5Mod claims that their new keyboard is the lightest and thinnest keyboard ever made for an iPhone. Made with sturdy aluminum and at just 2mm thickness, they are probably right. The gamepad and keyboard can be used in both portrait and landscape mode. The EX Hybrid Controller uses Bluetooth 3.0 to connect to the iPhone 5. Check out the demo video below. The video does show how thin the keyboard and gamepad are, but not functionality. The buttons look like they’re touch sensitive, but they’re not and are physical buttons. We cannot comment on the quality of this controller, so you’ll have to take a chance there. The EX Hybrid Controller will supposedly work with any iOS game that features additional function keys. Once again, we cannot guarantee that. It takes 1 hour for a complete charge and will last you for about 40 hours with a standby time of 160 hours. They also claim that the controller is both water-proof and dust-proof. iPhone5Mod is selling this controller for $49.90 along with a microUSB cable and charging dock. 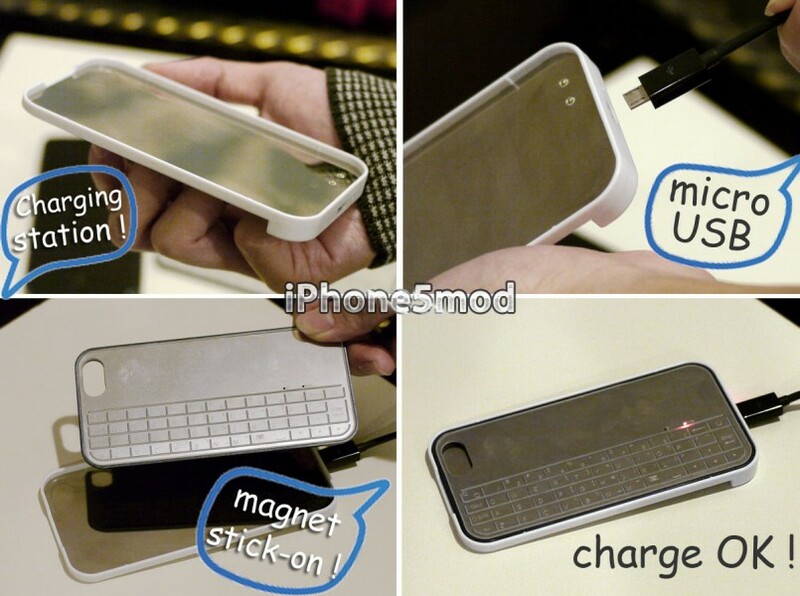 They also sell other iPhone 5 accessories such as the Backlit Keyboard case, Lightning Dock and cables.